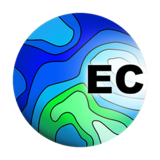 Easy Contour is a 3D visualization, contouring and surface modeling package that runs under Mac. Itis used for terrain modeling, landscape visualization, surface analysis, contour mapping, 3D mapping, gridding, and much more. The points coordinates and attributes are automatically added to attribute table while importing csv/txt file. When export contour lines, you can put the contour value on elevation.